Women’s Care at Tufts and Women’s Care South (Norfolk) - Book Appointment Online! The exceptional group of obstetricians and gynecologists at Women’s Care at Tufts Medical Center and Women's Care South provide comprehensive services to women of all ages at different stages of their lives. 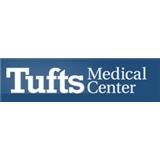 Our physicians are highly trained and serve as faculty members at Tufts University School of Medicine. Our providers go out of their way to ensure that you have a positive experience and that you receive all the information you need whether you are dealing with a health complication or embarking on your first pregnancy. The office was highly organized and efficient--check in went smoothly (they had already accessed all my information from a previous visit to Tufts before my arrival, so no waiting for ID/insurance card to get scanned). They gave me forms to fill out and I didn't even complete them before I was called over by the nurse. Dr. Baecher-Lind was personable and had excellent bedside manner. She talked me through everything she was doing, invited questions, and made me feel comfortable (sometimes I feel I feel like I have something to hide even though I've done nothing wrong when I'm a doctor's office...no such feelings here). The whole visit was over surprisingly quickly even though Dr. Baecher-Lind was thorough. Dr. Daman was very professional and smart. She listened to me and I found it easy to talk with her. She made me feel comfortable throughout my whole visit. She also made me laugh! The office staff was wonderful as well. Great experience from the moment I walked into the door!! Excellent appointment! Dr. Evans made me feel comfortable and answered all my questions easily.